The answer is: "Emphatically yes, it helps to use real-time image control", thanks to the technology of Google Maps in conjunction with our GPS Tracking Software you will be able to increase the speed of locating in real time to your employees, vehicles or mobile assets. Suppose you are a fleet manager that offers solutions for GPS tracking and sends one of your vehicles to a very important meeting with the company Google Inc.. But suddenly there is an unforeseen on the road and the driver of your vehicle sends you several images in real time with what is currently happening at that critical point of the road and you receive within your White-label GPS tracking software the notification of this event. 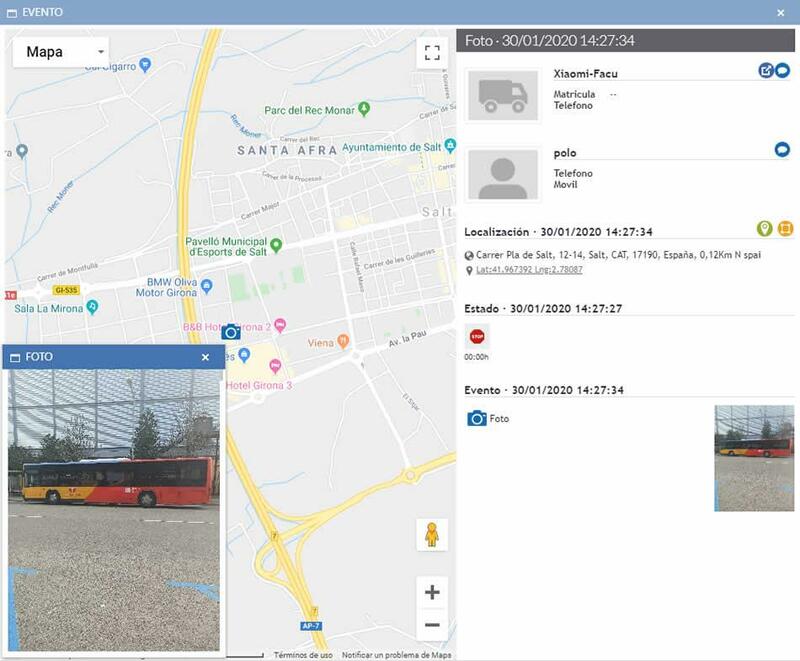 Immediately you will be able to visualize the images in real time with the exact position thanks to the georeferencing of "Google Maps" and you will be able to decide if it is advisable to send another vehicle of its nearest fleet and without any unforeseen on the road to this meeting so important for your company. "It could save a major sale for your company" or "the possible agreement with your new technology partner in vehicle telematics". A great fleet manager has to adapt to the new technologies of vehicle telematics and be able to create a prior strategy to prevent possible inconveniences within the fleet of vehicles he controls in real-time. For the fleet manager to be able to have more information in real-time before an unforeseen occurrence occurs, you must create a scheduled alert within your GPS tracking platform by assigning the possible device or person that will generate the event with it sending images in real-time; you can also decide what type of notification is right for you to receive this alert in real time. Recommend to your drivers he sent of images in real-time. You as a fleet manager can recommend or teach your drivers to use it to send images in real-time. If all your drivers are aware of the importance of real-time image control for your business, together they can avoid unnecessary breakdowns within the fleet or increase the profits of your company, being almost impossible to lose a client or a sale with this real-time images control technique.